Pasqualino "Pat" Russo's practice focuses on transportation law, counseling clients on a broad range of matters including regulatory compliance, strategic planning, procurement, litigation, administrative law and public policy. In the fifteen years prior to joining Windels Marx in 2012, Mr. Russo served a range of New York City and State public interests in varied capacities. NYC Department of Investigation - As an Inspector General of the Department of Investigation, Mr. Russo supervised the attorneys, auditors and investigators overseeing fraud and corruption investigations of the City's social services agencies, programs and contractors. In this capacity, he was responsible for the oversight of more than 22,000 City employees, hundreds of for-profit and non-profit vendors, and annual funding for these programs and agencies exceeding $13 billion. NYC Taxi and Limousine Commission - As the Chief Administrative Law Judge of the TLC, he oversaw the tribunal's three offices and its eighty Administrative Law Judges. 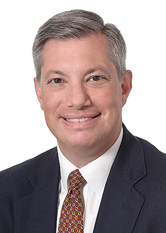 Prior to his appointment of the Chief Judge, Mr. Russo served as an Administrative Law Judge in its Appeals Bureau where he reviewed appeals of motions and hearing dispositions and issued appellate decisions. Mr. Russo was initially appointed as an Administrative Law Judge adjudicating administrative proceedings for individuals and corporations accused of violating the rules and regulations of the agency or the NYC Administrative Code, and also administered hearings to determine the fitness of applicants and licensees. New York State Office of the Welfare Inspector General - Appointed in 1997, Mr. Russo served as General Counsel to New York State Office of the Welfare Inspector General. In this capacity, he prosecuted fraud and corruption in the City and State's social services programs as a Special Assistant Attorney General. In 2003, Mr. Russo was appointed Executive Deputy Inspector General, where he supervised the investigative and legal matters and the agency's daily operations. Mr. Russo is also an Adjunct Professor in the Masters in Public Administration Program at John Jay College of Criminal Justice. In addition, he has lectured in the Legal Studies Program at Hunter College's School of Continuing Education.